David Gordon Green, a director known for thoughtful independent films like George Washington and All The Real Girls and dumb stoner comedies like Your Highness and Pineapple Express (as well as co-creating Eastbound & Down), has signed on to direct one of several competing projects that will dramatize the bombing of the 2013 Boston Marathon. Green’s film is called Stronger, and is an adaptation of the book of the same name by Jeff Bauman, who was cheering on his girlfriend at the finish line when the bomb went off just feet away from him. Bauman lost both of his legs in the blast, and the image of him being carried away from the blast is one of the most chilling images to surface from that day’s events. 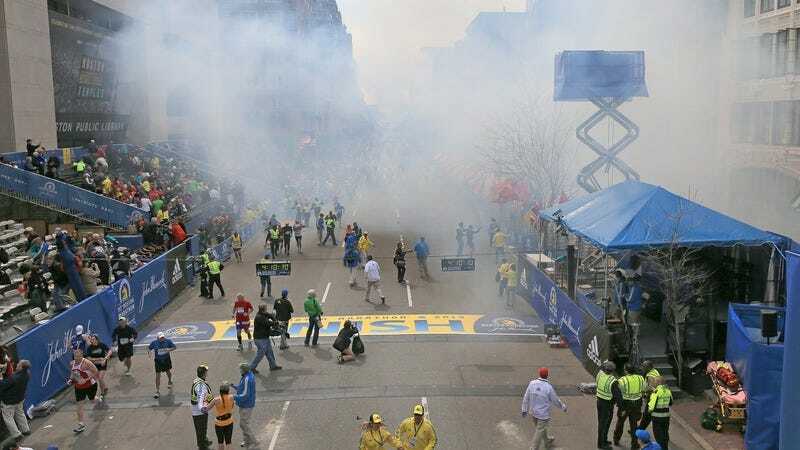 As soon as Bauman regained consciousness, he identified Dzhokhar Tsarnaev, setting off the citywide manhunt that led to the bomber’s capture and eventual conviction.